At once a powerful family saga and compelling personal odyssey, Kamala Nair’s debut novel tells the story of a haunted young woman who, in an effort to seek clarity about her impending marriage, confronts one fateful summer from her childhood. When Rakhee Singh is just ten-years-old, her world is shaken irrevocably when her beautiful yet troubled mother spirits her away from her father and their Minnesota home to visit her ancestral estate in an Indian village untouched by the centuries. It is there that Rakhee meets her enigmatic relatives for the first time, seeks adventure with her three cousins, and learns the devastating truth about why her mother fled the childhood home she loved. During the course of that scorching summer, Rakhee will discover in the mysterious jungle behind the house, a walled-up garden holding a terrifying secret. It is a secret that will expose long-hidden family skeletons and forever influence her beliefs about fidelity and love. Kamala Nair brings enormous powers of description to her first novel, infusing scenes with potent emotional depth. 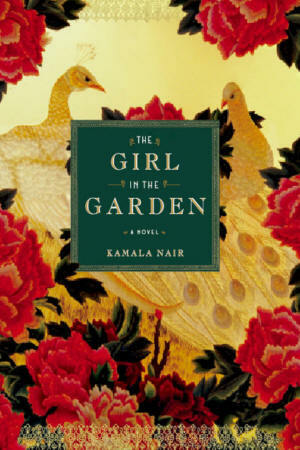 Lush and sensual, THE GIRL IN THE GARDEN is a dark, grown-up fairy tale that will enchant and resonate long after the last page has been read.